If you haven’t heard of Initial Coin Offerings or ICOs, don’t worry, you’re not alone. While they can be complicated, they have two big benefits. Investors can often buy them at a fairly low price and start-up businesses can get the investment they need to grow and prosper. On the surface, it seems like a win-win situation. It is essentially a crowdfunding measure and involves creating a new cryptocurrency which acts as a token, the purchase of which is then used to fund the development of a project. 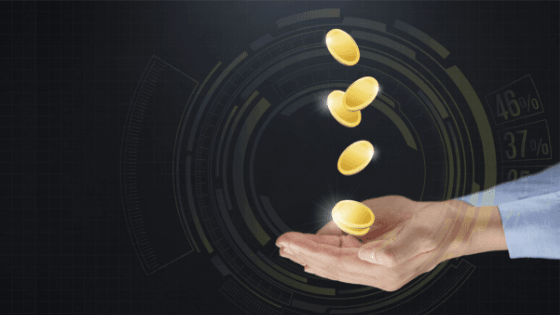 If the company is subsequently successful, the owner of the tokens can either swap them for real currency or resell them. 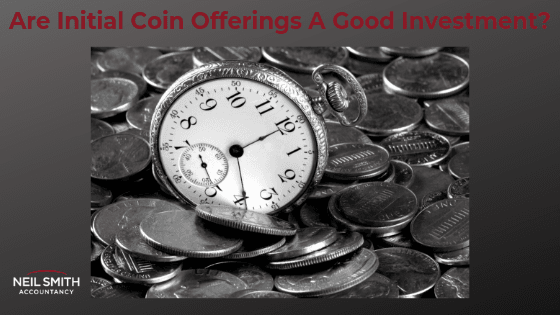 The point of interest is that investors can usually invest in these ICOs at a very low price and then sell for a sizeable profit while also helping the next potential tech giant take off. Of course, as with all start-up investments, much depends on whether the company is successful or not. ICO funding is undoubtedly on the increase. In 2016, there were 54 ICOs that raised some £78 million. By 2017, there were 92 major ICOs that raised an impressive £750 million for start-up companies. But there are some important caveats that you need to take into account, not least the risk involved, before you part with your hard-earned cash. Most people have heard of IPOs. These are Initial Public Offerings where business put shares on the stock market for the first time. As with ICOs, the purpose is generally to raise money for the business itself and they’ve have been used for many, many years. IPOs are generally long-term investments that are heavily regulated. ICOs, on the other hand, are often seen as short-term, high gain investments that have little in comparable regulation within the sector. Also, ICOs are open to anyone while IPOs tend to be exclusive, something that makes the former quite attractive to certain kinds of investors. For the businesses that create ICOs, there is one enormous benefit. That’s getting investment into the company so that they can further develop or get their idea off the ground. There have been plenty of success stories since ICOs first appeared back in 2013. That success, however, varies from country to country. In China, ICOs are banned, though this may be reviewed in the near future. In the US, they attracted over £590 million in 2017. Top companies include Telegram (£645 million), Huobi (£227 million), and Filecoin (£195 million). The fact that ICOs are open to the general public is one of their biggest selling points and they attract enthusiasts as well as serious investors. Those who believe in the cryptocurrency ecosystem are also more likely to invest. While the gains can be strong if you invest in ICOs, there are some quite serious risks. First of all, this is not a regulated sector. This lack of rules has led to scams hitting the news headlines in recent years. In 2018, crypto start-up Giza started a fake ICO that raised £1.8 million from around a thousand investors before the scam was detected. Having said that, the world of ICO is an exciting development in investment and one that is developing each year. It’s certainly worth keeping an eye on if you are a regular investor or are looking for new and potentially influential markets. Many people like the notion that they are not only going to make a profit but are investing in an area helping to support tomorrow’s tech and innovation. If you are thinking of investing in this type of product, you might like to consider the lack of regulation and potential for things to go wrong. If you have money to spare and want to gamble, yes you can achieve great returns but you can also lose out. If you can’t afford to lose your money or are more conservative in your investment approach you may want to stick to traditional IPOs, at least for the moment. For first class business advice in Essex and London, whether you are just starting up your new business or run a company already, get in touch with the experts at Neil Smith Accountancy for all of your accountancy and bookkeeping needs.